I have heard awesome things about Shark and I'm super excited to be able to bring you this giveaway! Giveaway open to contiguous USA Residents only 18 years of age or older. Read Rosey's full review here and watch her video demo on Youtube as well! The kind folks at Shark want to give one lucky random Reviews And More By Rosey follower their very own Shark Powered Lift-Away Speed Duo-Clean Model NV800 valued at $299.99. Please be sure to complete each task as all entries will be verified before any prize is awarded. Any fraudulent entries will be disqualified. No purchase is necessary to enter. Void where prohibited by law. The odds of winning are based on the number of entries received. Contest open to the contiguous USA residents 18 years of age or older only. Confirmed Winner(s) (by Random.org) will be contacted by email. Winner(s) have 48 hours to claim their prize before a new winner is chosen. All entries will be verified before prize(s) will be awarded. Any fraudulent entries will result in forfeiture of your entries. Reviews And More By Rosey is responsible for product shipment and/or delivery. This event is in no way administered, sponsored, or endorsed by, or associated with, Facebook, Twitter, Google, Pinterest, or Instagram. This disclosure is done in accordance with the Federal Trade Commission 10 CFR, Part 255 Guides Concerning the Use of Endorsements and Testimonials in Advertising. Prize winner must find the Congratulations post on my Facebook page (www.facebook.com/reviewsandmorebyrosey and comment according to the instructions in the winner's email. 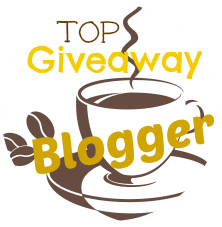 Be sure to like Rosey on Facebook or follow her personal blog so that you will be the first to know about upcoming giveaways! Coming soon your chance to win a overnight stay at a hotel plus breakfast and (4) tickets to Sahara Sam's Indoor/Outdoor Water Park in New Jersey valued at $500.00!